I posted a couple of days that its Party Time with H-Artistry on 8th September. Some messaged me whether I was giving away any H-Artistry passes...and the answer is YES! I have 2 pairs of H-Artistry passes up for grabs. Its all super easy. All you need to do is to swing by to my facebook page Missyblurkit (and show some love) then leave a link here of your Facebook ID so that I can use my all time favourite Random.Org to select 2 lucky winners! Well this is also opened to those who have already shown some love at Missyblurkit. Labels: Angger Dimas, artistry, B.A.T.E. (Brain And The Eye), Eva Simons, freebies, hennessy, invite, Nasty and GuruGuru a.k.a Bass Agents, Party, v.s.o.p. Had a glance on the day's menu and it certainly looked that Toh Yuen retains its emphasis on a healthy menu with the use of fresh ingredients and Chinese herbs. 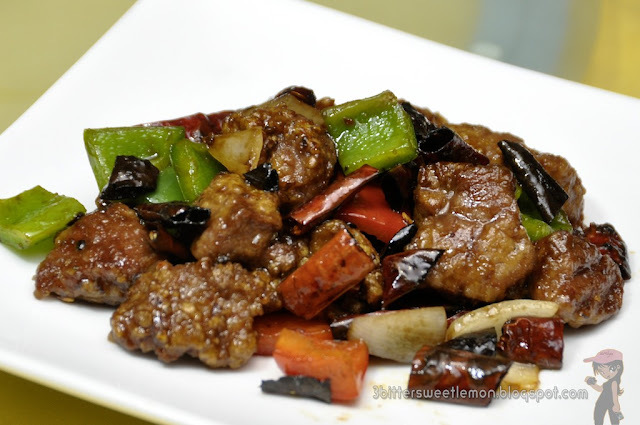 As a result of Master Chef Lee's extensive travelling in China, we are now looking at more traditional Chinese dishes. And in staying close to using the freshest ingredients possible, some local ingredients have been introduced including local fishes such as Sarawak River Patin in the menu. The lunch kicked started with Chilled Pacific Clam with Salsa. Absolutely appetizing and refreshing, I would have happily eaten this on my own. Yes, its one of the "I will prefer not to share with anyone" dish. 2 deep fried dishes followed. The Deep Fried Soft Shell Crab with Garlic and Chicken Floss was a very addictive dish especially if you love soft shell crabs. Deep fried but not oily and the sweet juicy crab certainly paired well with the sweetish savoury chicken floss. I love meat and the Deep Fried Lamb with Cumin and Dried Chili was certainly a dish that I would love to return to eat. Lamb was tender and slightly spicy though I would have loved it if it was cooked a little spicier. This however is only my opinion since I do love hot and spicy food quite a bit. I love herbal soups. They are always a wonderful touch to a meal. And just when you think all herbal soups are strong smelling, then you're utterly wrong. We had the most delightful ones that were soothing to our taste buds and obviously good for nourishing our bodies too. 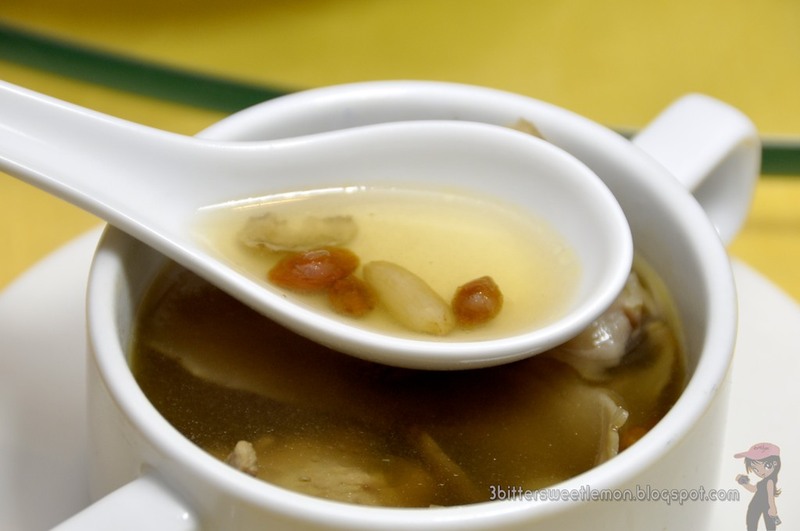 Double Boiled Chicken with “Shi Hu” (Dendrobium Stem) Soup to cool our bodies down. 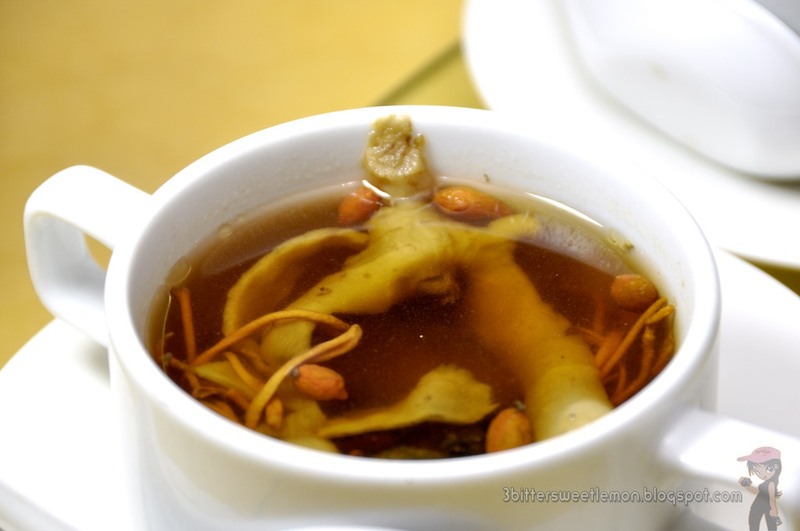 Double Boiled Village Chicken with “Chong Cao Hua” (Cordyceps) Soup nourishes our lngs and kidneys. Helps us to sleep better too (I think I need more of this). 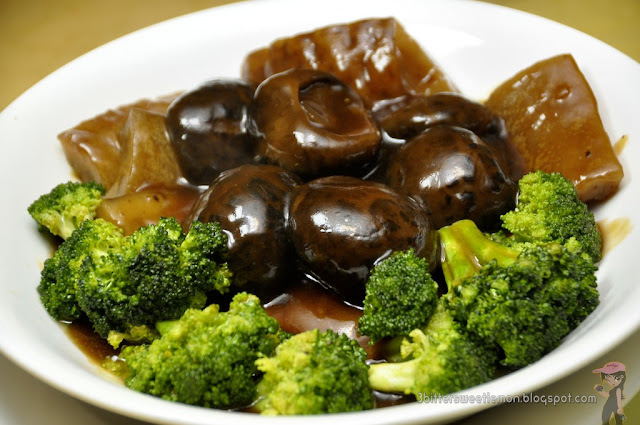 The Braised Sea Cucumber with Flower Mushroom and Abalone Sauce is a common dish but nevertheless very yummy. Crunchy broccoli compliments the tasty braised sea cucumber and mushroom. Don't waste the gravy. Have a bowl of rice or two and savour the goodness of the sea cucumber, abalone sauce and mushrooms. There are many ways to prepare cod fish and one of the best ways to bring out the natural sweetness of fresh fish would be to steam it. At Toh Yuen, the Steamed Canadian Black Cod Fish with “Yu Feng” Ginger Sauce is one good dish that I think will appeal to both old and young. The superior soy sauce combined with the fried ginger certainly brings out the flavours of the fishes. The Sautéed Fresh Prawn with Salted Egg Yolk was good. 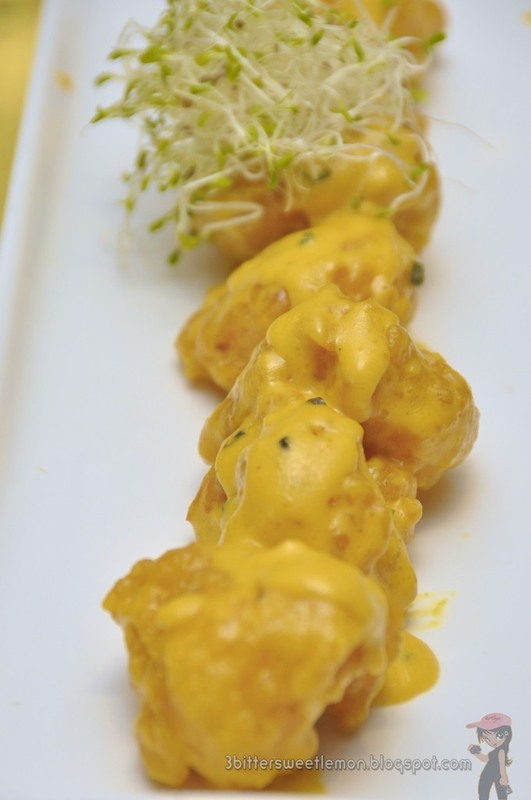 Or should I say anything with salted egg yolk is always good. Do not be deceived by the look of the dish because its actually a generous coating of creamy salted egg yolk rather than cheese. 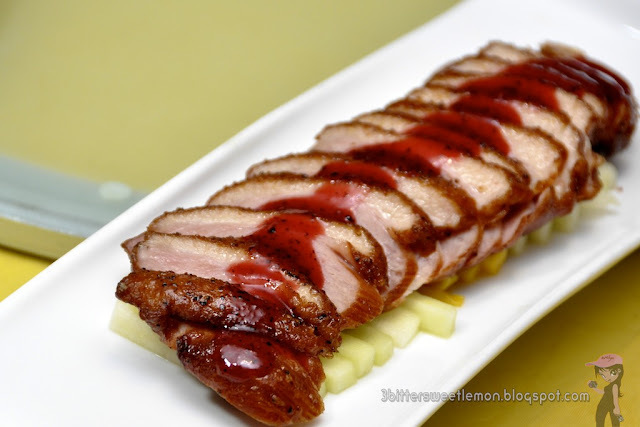 By now, many of the regular readers here will know that duck is probably one of my fave meats. 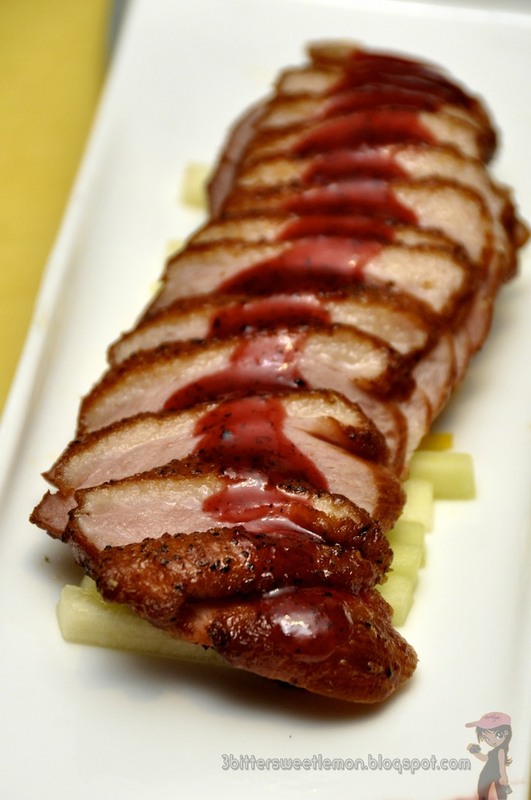 The Deep Fried Smoked Duck with Fruit Sauce is a refreshing take at the classic smoked duck. Never knew that dragon fruit was a perfect pair with the smokey goodness of the smoked duck. 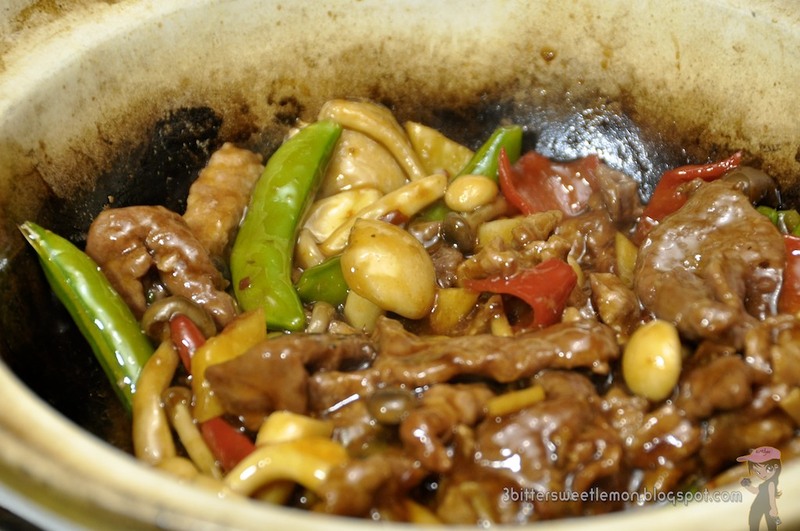 Sautéed Venison Slice with Chinese Croissants and Cumin was served in a claypot keeping the dish nice and warm. The cumin gave the whole dish a slightly spicy hot taste and is utterly beautiful with the crunchy snow peas. A brilliant play of texture too when eaten with the tender venison. Never a fan of "vegetarian meat", I was quite pleased with the Sautéed “Gong Bao” Vegetarian Chicken with Yam Ring. Cooked with paprika or dried chili, this was a very appetizing dish. A must order especially when you have vegetarians for your meal company. Dessert was in 2 parts. First was the Deep Fried Banana with Strawberry and Cheese Cake with Chilled Mixed Fruits. It sounded a lil of an adventure. Some liked it. Some didn't. I liked the banana and strawberry part. Somehow the cheese cake just didn't quite agree with my tastebuds. Loved the chewy goodness of the snow skin. All flavours were nice and surprisingly I fell very in love with the durian! Hubster thinks its perhaps I ate it last or perhaps my durian cravings are returning. I also loved the green tea and cheese cake. The naturally slightly bitter taste of green tea lessened the sweetness of the cheesecake. It also helped to lessen the richness of the cheesecake. The delicious snowskin mooncake is priced attractively at RM13+ each, while baked mooncakes are priced at RM22+. 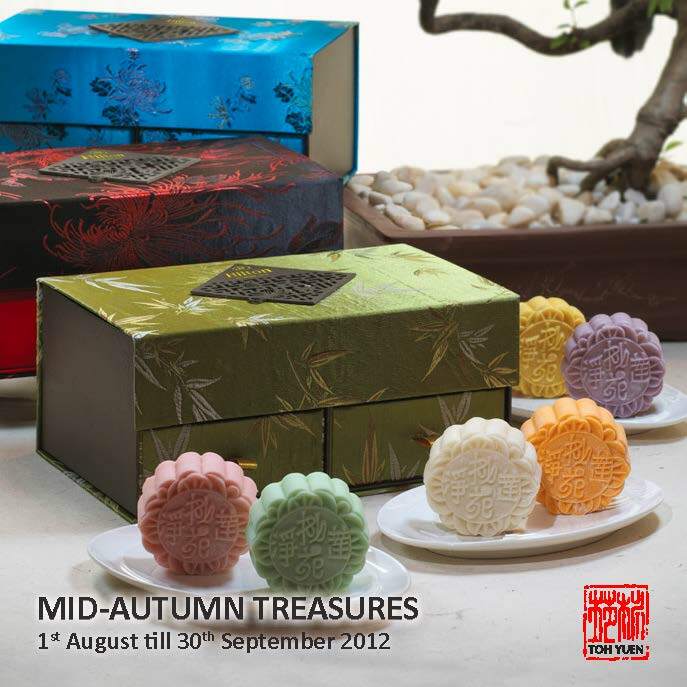 Mooncakes are available until 30th September 2012. Sudah lama saya tidak makan di Toh Yuen @ PJ Hilton. 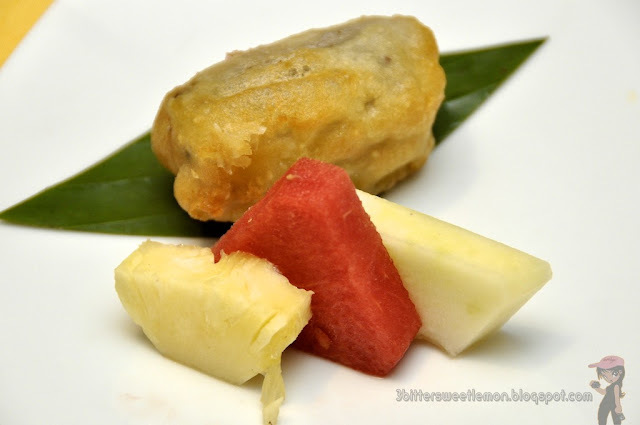 jadi sesi makan di Toh Yuen pun betul masanya kerana dapat makan kuih bulan dan menu ala carte yang baru digubah. Secara umumnya, makanan pork free di Toh Yuen memang enak dan sihat kerana menggunakan ramuan yang segar dan sihat termasuk herba Cina. Master Chef Lee telah menghabiskan banyak masa di China. Oleh itu, menu Toh Yuen terdiri dari banyak hidangan tradisi orang Cina di China. Namun untuk memastikan ramuan masakan sentiasa sihat dan sesegar yang boleh, beliau turut menggunakan bahan tempatan termasuk Ikan Patin Sungai Sarawak. 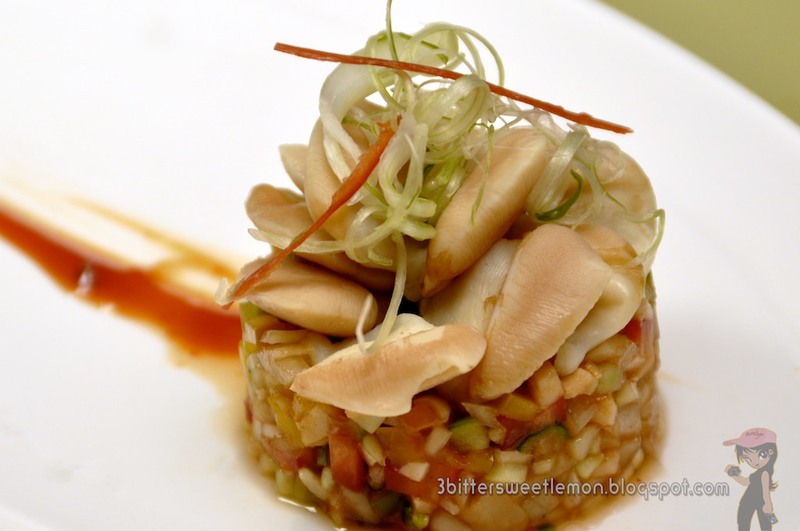 Makan tengahari kita dimulakan dengan Chilled Pacific Clam with Salsa. Salsa menambah keenakan dan membuka selera. 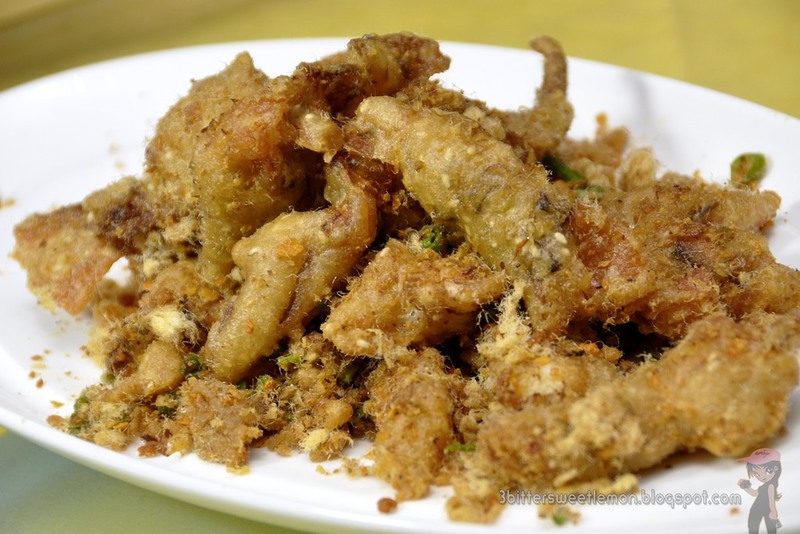 Kalau boleh, saya tidak ingin berkongsi hidangan ini dengan siap-siapa pun:D.
Walaupun Deep Fried Soft Shell Crab with Garlic and Chicken Floss adalah satu masakan yang digoreng, ia langsung tidak berminyak. Ketamnya masih lembut dan sungguh sedap dimakan dengan serunding ayam. Deep Fried Lamb with Cumin and Dried Chili juga sangat sedap. Daging kambing sangat lembut. Rasanya wangi dan pedas dengan perisa jintan putih dan cili. Namun demikian, saya rasa masakan ini tentu lebih sedap jika lebih cili kering digunakan. Ini mungkin kerana saya lebih suka dengan masakan yang pedas. Ada ramai yang menganggap sup Cina sangat kuat baunya ataupun pahit. Tetapi ada juga sesetengah herba yang rasanya ringan (mild). Antaranya ialah cordyceps dan "shi hu" (Batang Dendrobium). Herba-herba ini dipercayai bagus untuk kesihatan kerana dipercayai boleh menyuburkan ginjal dan paru-paru. Cordyceps dipercayai dapat membantu seseorang tidur lebih lena. Braised Sea Cucumber with Flower Mushroom and Abalone Sauce memang satu hidangan yang biasa disajikan di restiran Cina. Kalau suka makan gamat, inilah satu hidangan yang mesti dipesan. Gamat dan cendawan dimasak sehingga lembut. Sos abalone yang digunakan pula menambah rasa manis asli gamat dan cendawan. Terdapat banyak cara untuk menyediakan ikan kod dan salah satu cara terbaik ialah dengan cara kukus. Ini terutamanya bila ikan itu segar. 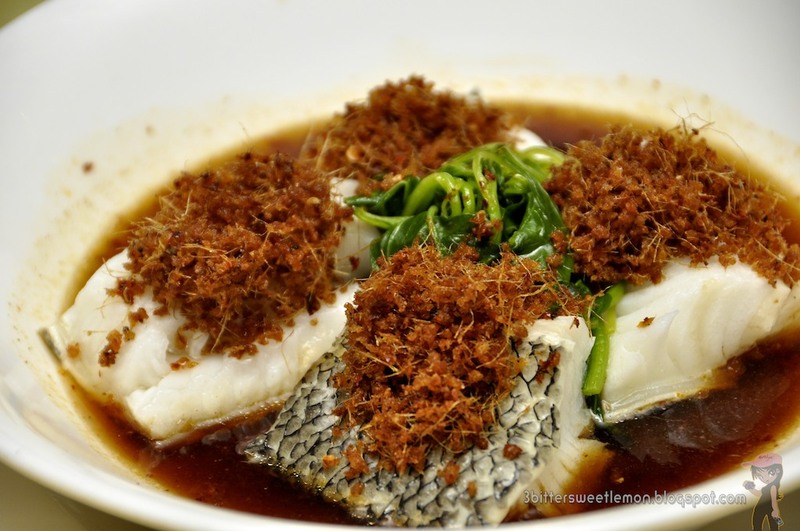 Steamed Canadian Black Cod Fish with “Yu Feng” Ginger Sauce memang sesuai untuk tua dan muda. Kicap khas dari Hong Kong yang dipadan dengan halia goreng menjadikan rasa ikan kod bertambah enak dan manis secara asli. Bila Sautéed Fresh Prawn with Salted Egg Yolk dihidangkan, saya ingat ianya udang dimasak dengan keju kerana warna kuning yang begitu menarik. Apabila dimakan barulah saya tahu sebenarnya udang dimasak hanya dengan kuning telur masin. Deep Fried Smoked Duck memang salah satu hidangan yang saya paling gemari hari itu. Tidak disangka itik salai yang digoreng begitu enak bila dimakan dengan sos buah naga. Sautéed Venison Slice with Chinese Croissants and Cumin yang dihidangkan dalam claypot memang sedap sekali. Masakan ini kekal panas dalam claypot dan saya percaya claypot juga menambah keenakan daging rusa yang dimasak dengan jintan putih. Saya tidak minat dengan masakan daging vegetarian. Namun demikian Sautéed “Gong Bao” Vegetarian Chicken with Yam Ring yang dihidangkan agak sedap. Ayam vegetarian ini dimasak dengan cili kering, sayur, gajus dan dihidangkan dalam bakul keladi. 2 pencuci mulut disediakan. Pertama ialah Deep Fried Banana with Strawberry and Cheese Cake with Chilled Mixed Fruits. Rasanya agak sedap tapi saya tidak suka kek keju yang digoreng bersama pisang dan strawberi. Semua pun rasa enak tapi saya rasa yang saya paling menyukai perisa durian. Perisa teh hijau dan keju pun sedap juga. Rasa asli teh hijau yand sedikit pahit memang padan dengan rasa krim dan manis keju. Jika inhgin menghadiahkan kuih bulan kepada rakan ataupun keluarga, awak boleh memilih 3 jenis kotak khas yang elegan dan cantik sekali. Kotak hitam dan merah yang saya terima kini digunakan untuk menyimpan aksesori saya. Harga kuih bulan snowskin ialah RM13+ setiap biji, manakala kuih bulan yang dipanggang berharga RM22+. Kuih bulan dijual sehingga 30hb September 2012. Datang menjenguk dan "Like" laman FB saya Missyblurkit. H-Artistry returns to the heart of Kuala Lumpur for the second installment of 2012’s Global Art of Mixing Trilogy! 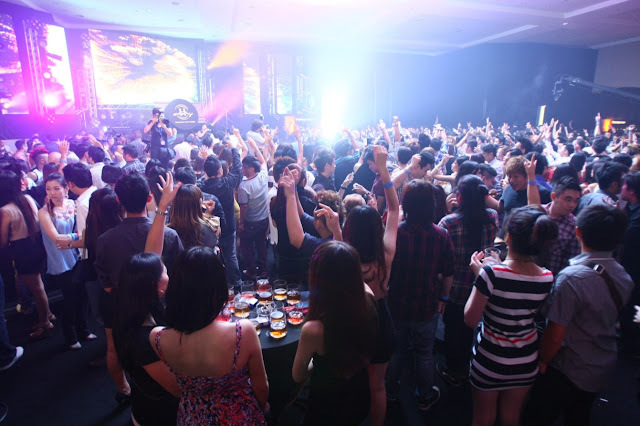 The upcoming H-Artistry party is set to take place at KWC, level 15 in Kuala Lumpur, promising an eclectic mix and a phenomenal super-clubbing experience on Saturday 8 September 2012. This time around approximately 3,000 party goers will be treated to a mix of world-class music and the trademark H-Artistry atmosphere. Expect a night of fun and excitement with the revamped Hennessy Art of Mixing Zone featuring the Hennessy 360 Cam, party all night long with free flow Hennessy V.S.O.P. 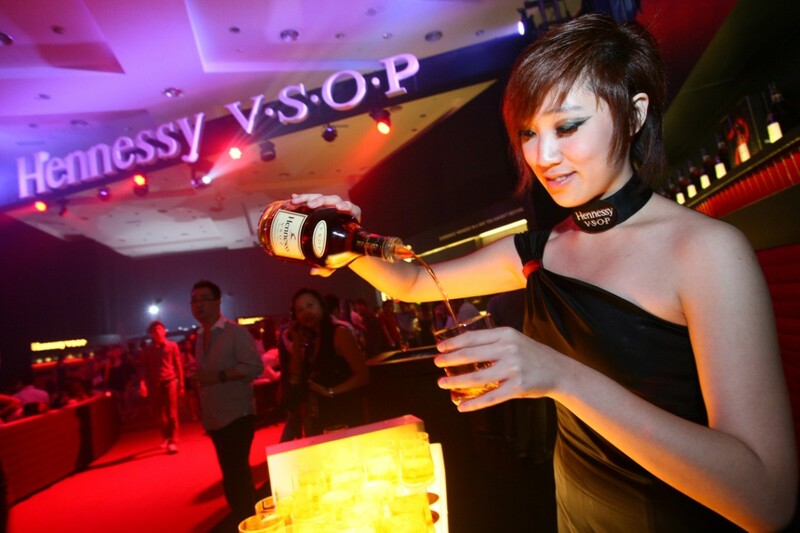 at the Hennessy Mixing Bars. Gorgeous H-Artistry ambassadors will be stationed at the bar to demonstrate the ease of mixing your favourite signature Hennessy V.S.O.P. long drinks. Choose from Hennessy Apple, Hennessy Berry, Hennessy Ginger and Hennessy Soda or in my case I like my drinks neat. And if Eva Simons sounds familiar then its perhaps you have caught her collaborations with Afrojack in the track “Take Over Control”, which has become a dance crossover anthem on dance floors around the world. Have a listen get ready for H-Artistry on 8th September! Or even one of my all time fave from her recent collaboration with will.i.am "This is Love"
For more information on H-Artistry, check out www.h-artistry.com.my. BTW, H-Artistry is open to those above 18 years of age and non-Muslims only. Labels: Angger Dimas, artistry, B.A.T.E. (Brain And The Eye), Eva Simons, h-artistry, hennessy, invite, kwc, Nasty and GuruGuru a.k.a Bass Agents, Party, v.s.o.p. Its been an awesome Monday. Had a sneak peak of AFC Original Production "36 Ways to Live" today. The highlight was of course catching up with Chef Emmanuel Stroobant again and perhaps the creme de la creme was tasting his cooking. 36 Ways to Live premieres on Wednesday 12 September at 9:30pm. 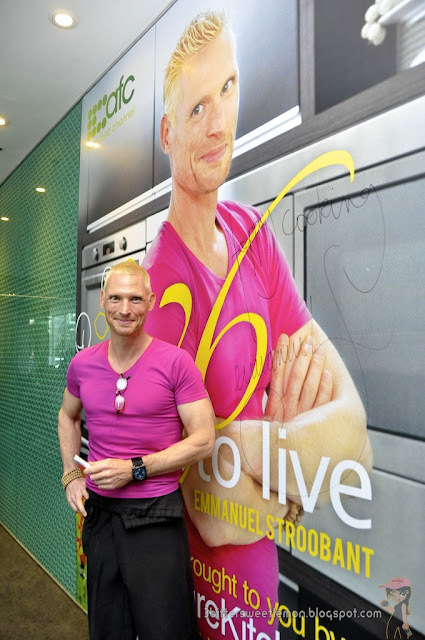 Chef Emmanuel Stroobant returns to AFC and shares how he lives, eats and enjoys his life to the fullest! In this new production Chef Emmanuel invites some of his closest VIP friends and media personalities to his home and whips up 36 of the most important life recipes that have marked his life. 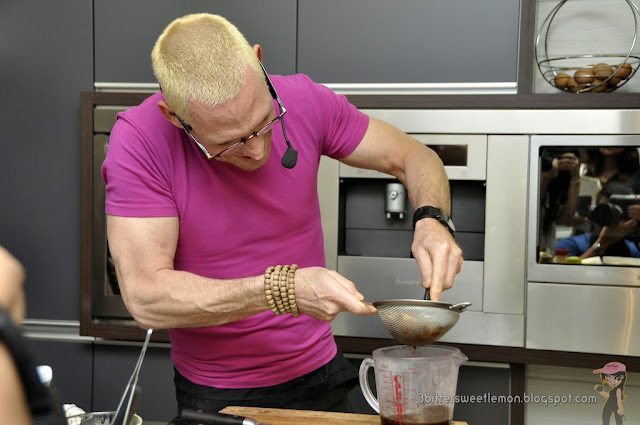 Featuring simple dishes that he makes at home to his successful signature dishes at his 5 restaurants, all dishes are inspired by his Belgian heritage, his love for healthy and nutritious foods, and his extensive travels. The 12 episodes 36 Ways to Live promises to be fun. We were treated to Episode One today where Chef Emmanuel whips out a classical French feast for his dining guests. The other episodes include a tour of the kitchens of his successful restaurants, a picnic trip and even a yoga session with his staff! I can pretty much say that you will be charmed and enthralled by Chef Emmanuel’s skills, techniques, personality and his view on life and food! 1. For the sauce, cut carrot, celery and shallot into 2cm cubes. 2. Heat a knob of butter in a medium sized pot. You will know that the pot is hot enough when the butter stops sizzling. 3. Once the butter stops sizzling, add vegetables and thyme. Cook them till they turn soft. 4. Add a sprinkle of sugar and cook for a further 2 minutes. 5. 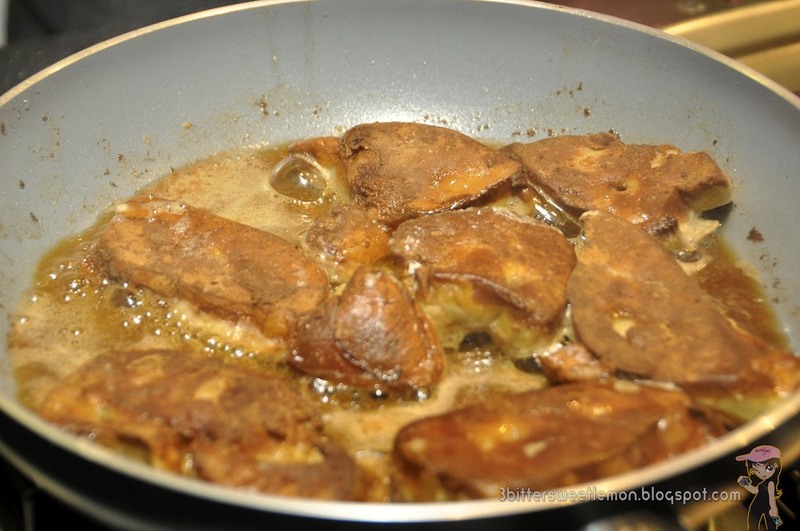 Deglaze with balsamic vinegar and let the liquid reduce slowly. 6. Add veal jus and simmer for 30 minutes. 7. Strain the sauce and reduce until sauce thickens. 1. Peel the apple and cut into 3cm x 3cm cubes. 2. In a non-stick fry pan, heat the sugar till it starts to turn into a light amber colour. 3. Then, add 1 tablespoon of butter and apples. 4. Cook the apples for 1 minute on each side. Set aside. 5. 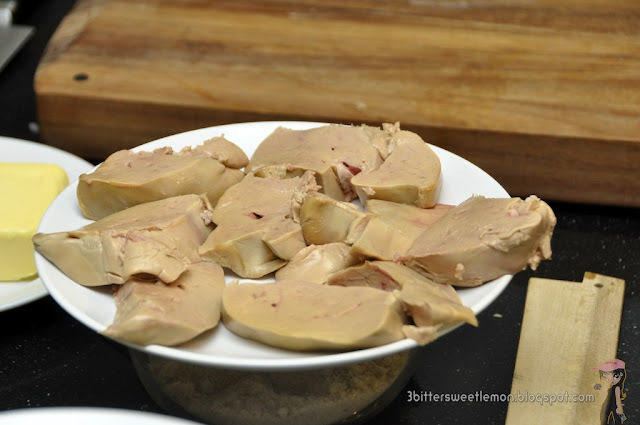 For the foie gras, cut the lobe at an angle, and into a 2cm thickness slices. 6. 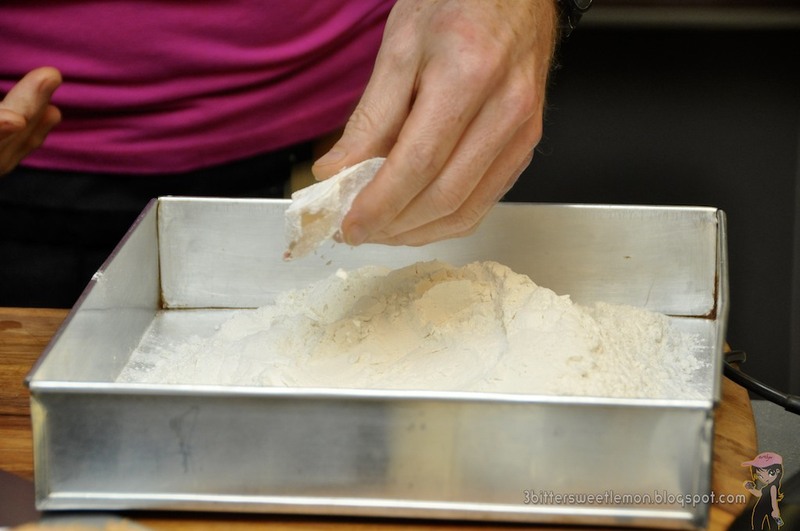 Lightly dust with tempura flour. 7. Using a frying pan, heat half portion of the oil and butter. 8. Once the butter stops sizzling, place the foie gras in the pan and turn the heat to medium. 9. 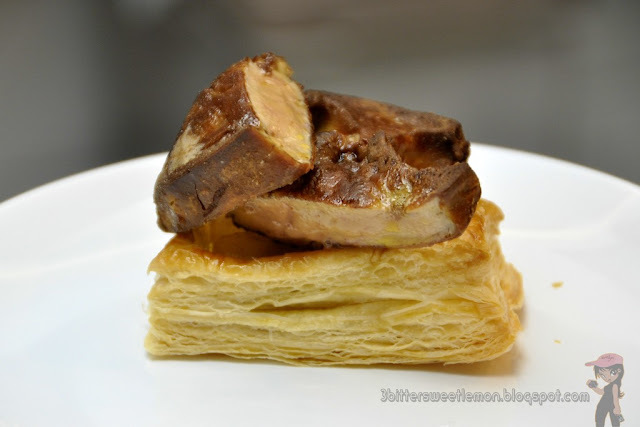 Once you see a nice brown edge on the foie gras, flip it over to cook the other side. 10. Remove and place onto absorbent paper. 11. 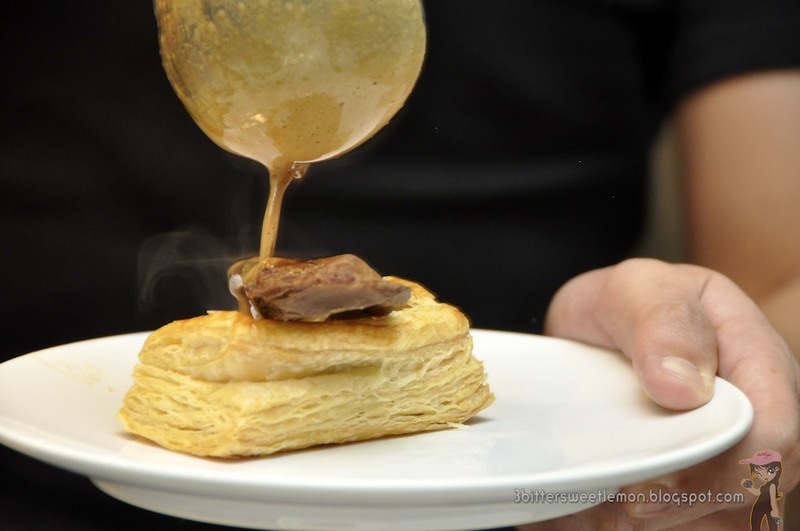 To plate, place a piece of caramelised apple on the plate and transfer the foie gras on top. 12. Bring the sauce to a boil, strain them in a blender. 13. 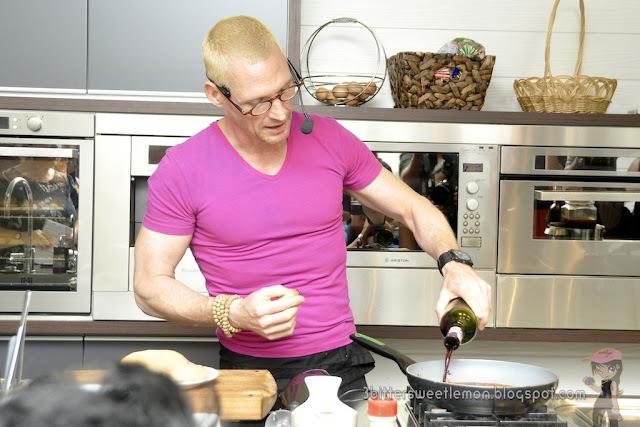 Add a tablespoon of butter and blend the sauce. 14. Drizzle the sauce around the foie gras. 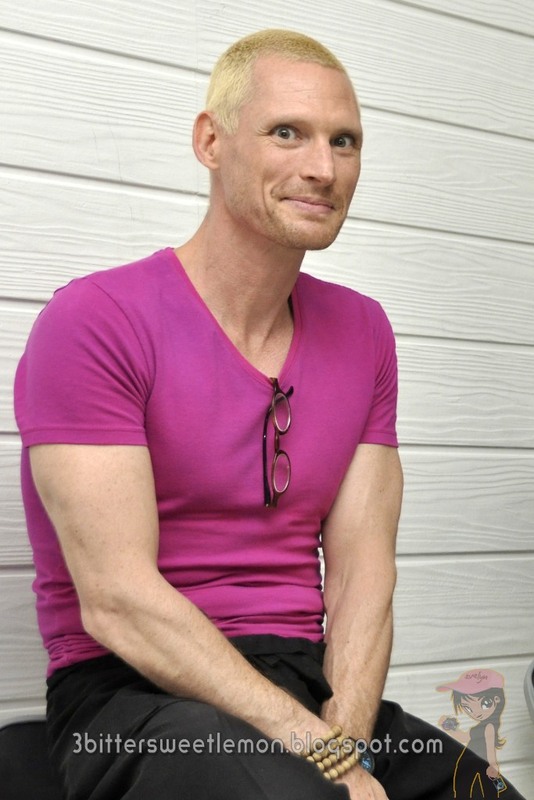 He is seriously nice and fit! 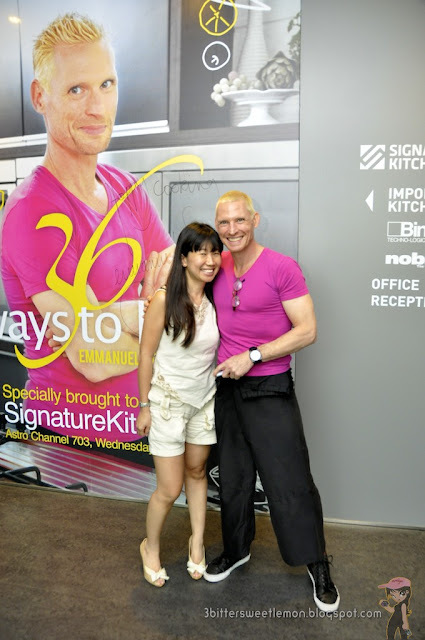 We caught up with him about the Super Chef Summer Camp that he ran recently. 40 kids aged between 6 and 14 years old went through a fun and eye opening camp on cooking and food. 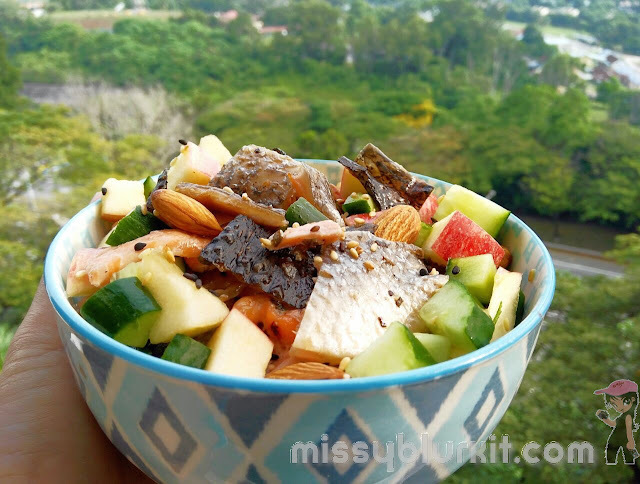 Bringing the kids back to basics about eating good and healthy food. Amazingly, he hared that the kids during the 4 weeks were also able to whip out meals for 100 pax! I don't know what to make of this expression but I find it charming. And more recently, last week Chef Emmanuel has started operating a canteen. Now you must think I am mad to use the term canteen. But yes, it is a canteen in Stamford American International School. He is a healthy person never mind that you see him using generous amounts of butter in his dishes and all. But he seeks that kids eat healthily and naturally. An example that we chatted includes mashed potatoes should be made from fresh potatoes not some form of powdered potato or potato flakes that we add water to. Chicken should be fresh not frozen. Hopefully this healthy canteen idea or approach takes off even in our Malaysian schools that in my opinion serves junk food to the kids. Sooner or later, its not that our kids are obese, lazy or stupid (how an kids study when they are sleepy after a sugar laden meal), its just that we're feeding them the wrong food including excessive sugar, salt, fat and processed carbs! Do show some love at my FB Page Missyblurkit. Hari ini saya sungguh gembira. Dapat menonton sneak preview Episod pertama 36 Ways to Live. Ini adalah satu siri baru ekslusif oleh Asian Food Channel. 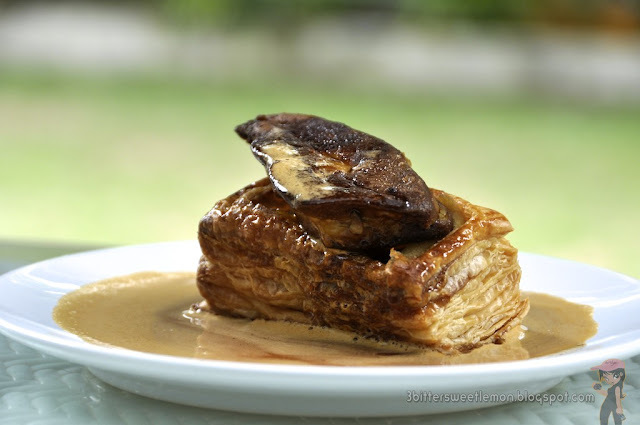 Kemuncak kegembiraan saya ialah apabila dapat bertemu semula dengan Chef Emmanuel Stroobant dan makan Foir Gras with Caramelized Apples yang dimasak oleh dia. Kamu mungkin teringat dengan Chef Emmanuel yang lebih terkenal sebelum ini sebagain Chef in Black. Kini Chef Emmanuel Stroobant kembali ke AFC dengan siri baru 36 Ways to Live yang akan mula ditayangkan pada Rabu 12 September di 9:30 malam. Dalam tayangan 12 siri ini, kita akan dapat melihat bagaimana makan dan menikmati kehidupan dengan sepenuhnya! Chef Emmanuel juga menjemput beberapa rakan VIP dan media personaliti ke rumahnya untuk menikmati resipi yang dia gemari. Ini termasuk resipi yang dia masak di rumah dan juga di 5 restoran terkenal beliau. Petang tadi, saya dapat menonton Episod Pertama 36 Ways to Live di mana Chef Emmanuel menghidangkan masakan klasik Perancis untuk tetamunya. Dalam episod-episod yang akan datang, Chef Emanuel akan menunjukkan behind the scene di dapur restoran dia, sesi yoga dan satu outing berkelah. 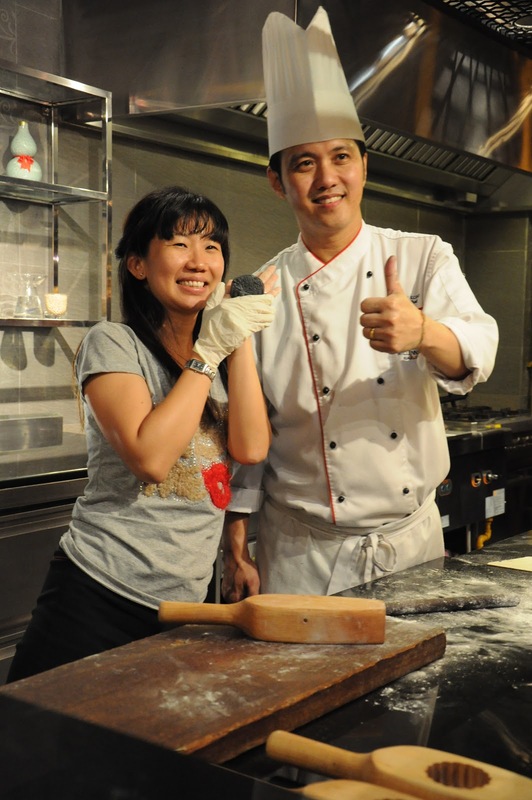 Saya juga dapat melihat dengan mata sendiri Chef Emannuel memasak di Signature Kitchen, Kota Damansara. Ini sebenarnya lokasi perfileman 36 Ways to Live. Dengan tentunya kita juga dapat makan apa yang dimasak oleh Chef Emmanuel. Sungguh sedap sekali. Resipi terkandung di atas (maaf kerana saya tidak fasih untuk menulis resipinya dalam Bahasa Malaysia). Selepas makan dan bergambar, saya catched up dengan Chef Emmanuel yang saya tidak berjumpa selama 8 bulan. Kali terakhir kita berjumpa apabila Dino Ferrari diumumkan sabagai pemenang E&O Search For AFC’s Next Celebrity Chef (boleh baca blog saya Hello Dino Ferrari). Tahun ini Chef Emmanuel masih sibuk dengan 5 restorannya Saint Pierre, Rocks Urban Grill + Bar, Brussel Sprouts, Picotin and Sque Rotisserie & Alehouse. Selain dari kerja, Chef Emmanuel agak mementingkan kesihatan dan banyak beryoga. Chef Emmanuel dalam masa 8 bulan yang kita todak berjumpa juga ada berlancong. Beliau juga sibuk dengan satu projek baru yang mungkin dianggap pelik of segolongan orang. Namun, Chef Emmanuel baru sahaja memulakan operasi kantin sekolah. Saya tidak bergurau. Memang benar yang Chef Emmanuel baru mula beroperasi di Stamford American International School di mana dia dan krew mengendalikan kantin sekolah tersebut. Beliau percaya kanak-kanak seharusnya makan dengan tabiat yang sihat. Umpamanya bila mereka dihidang dengan mashed potato, ianya sepatutnya dibuat dari ekntang dan bukannya dari serbuk kentang yang dicampur dengan air. Beliau juga baru habis mengendalikan Summer Camp Super Chef di mana dia mengajar 40 kanak-kanak berusia antara 6 dan 14 tahun bagaimana memasak. Saya sungguh kagum bila diberitahu yang kanak-kanak ini dalam masa 4 minggu tersebut dapat menyiapkan hidangan untuk 100 orang! Dalam masa 4 minggu itu, kanak-kanak tersebut juga diajar mengenai cara pemakanan dan memasak dengan sihat. I remember my late PorPor who will never consider mooncake a mooncake unless it contains lard. And if she was alive then she will definitely be pleased with the mooncakes from Lai Ching Yuen, Grand Millenium KL. Its dinner first before we get to make our own mooncakes. Yes this time we actually had the chance to make our own Snow Skin Mooncakes and take our masterpieces home with us. The hot and rather hazy weather then made the Double Boiled Chicken with Clam and White Cabbage a perfect soup to prep us for dinner. A combination of chicken, clam and white cabbage also means that this is a very nourishing soup. Deep Fried Golden Mushroom and Soft Shell Crab with Salt and Pepper Combination. 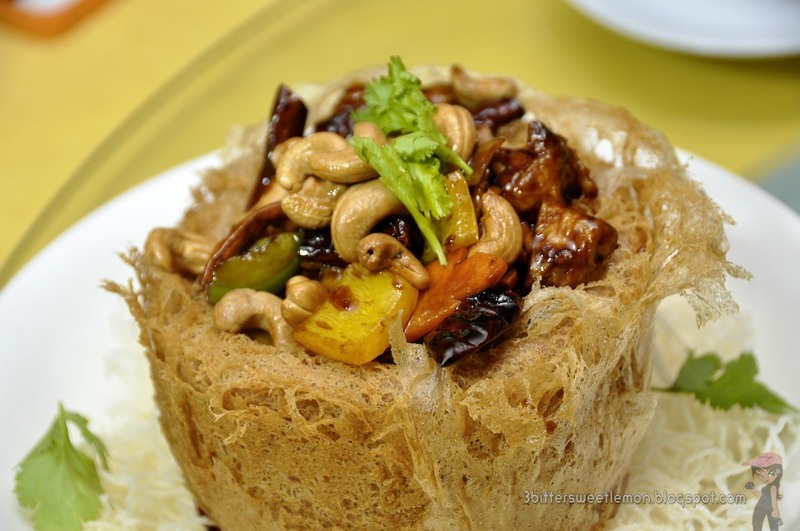 This is one of my all time fave dish in Lai Ching Yuen. Porkiliciously good Barbequed Roasted Pork with Honey. Eat your vegies! The Fried Australian Asparagus with XO Sauce is so good I wished we could have a bigger serving. Braised Local Loh Mee that goes well with a little vinegar. Lai Ching Yuen nourished my skin and lungs with the lovely and warm Sea Coconut with Red Dates and White Fungus. It was pure fun of making our own snow skin mooncake. Its pretty easy moulding it and then eating it is even easier. Dim Sum Chef Yoon Kong Thye ran us through the makings and most of us gave it a try to make it and taking it home. Save the hassle of making it and buy them for your loved ones and friends. 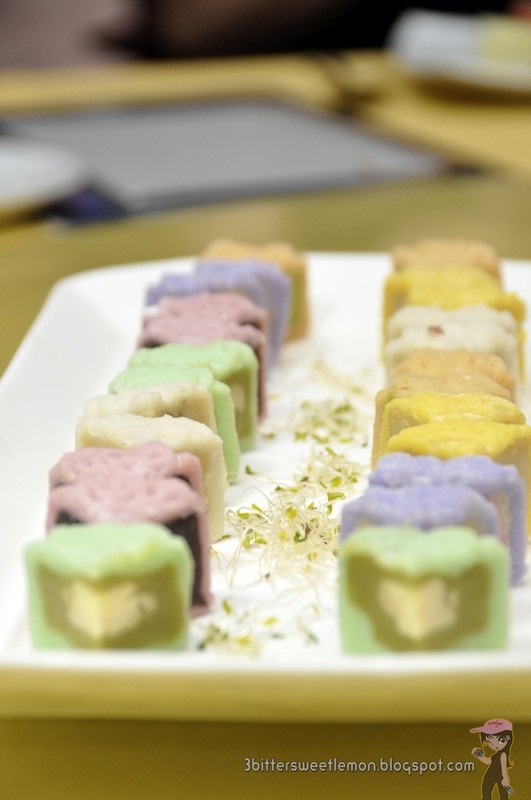 Choose from Assorted Fruit and Nut, Red Bean Paste, Pure White Lotus, or Pure White Lotus with Single Yolk and if you fancy a contemporary touch then the Mini Snow Skin Mooncake with Passion Fruit Lotus Paste, Durian Lotus Paste, Spiruline Lotus Paste and Green Tea Lotus Paste are lovely ones. I especially loved the Snow Skin Mooncake with Passion Fruit Lotus Paste. Perhaps its because I made (moulded) one myself...but seriously it had the delightful and refreshing flavour and texture of Passion Fruit in it. Gifts should always be in pretty or elegant boxes. Opt for the Fortune Mooncake Gift Box at RM112++ per box of 4 items while the Full Mooncake Gift Box is priced at RM108++ per box of 8 items. Mooncakes are priced between RM12.80++ per piece to RM29.80++ per piece.